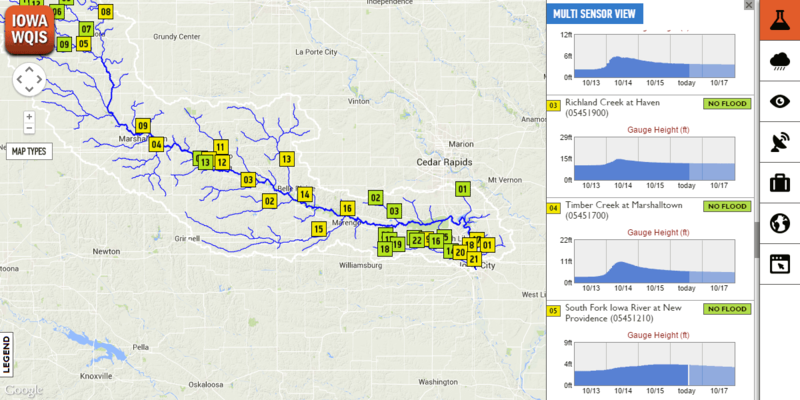 Quick view of nitrate evolution over the last few days. 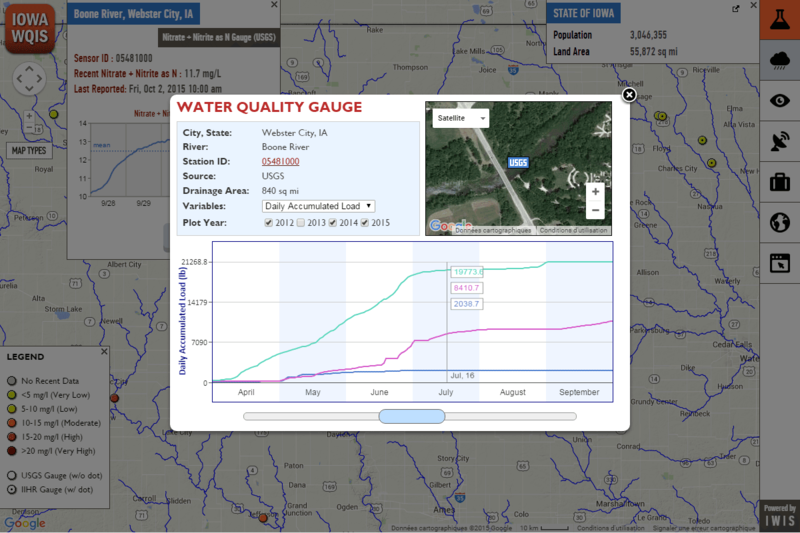 Multi-variable plot or multi-year data comparison. 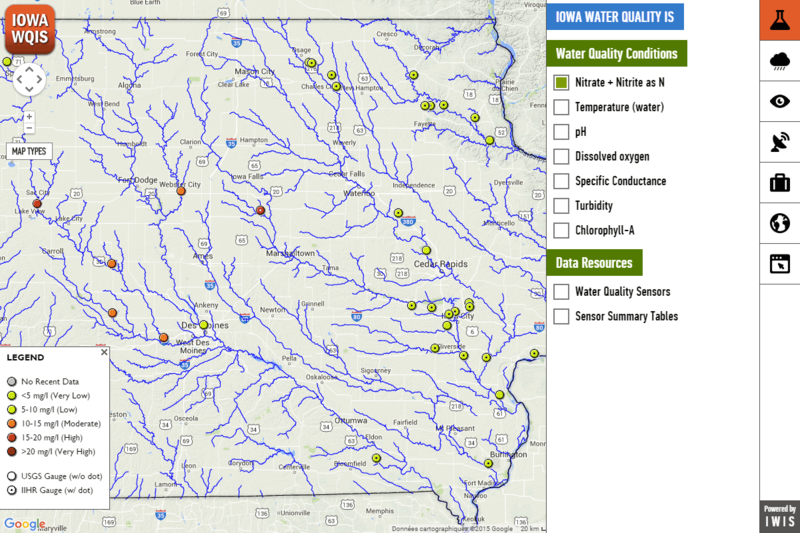 Water quality related variables such as water temperature, pH, dissolved oxygen and more over the last 15 days. 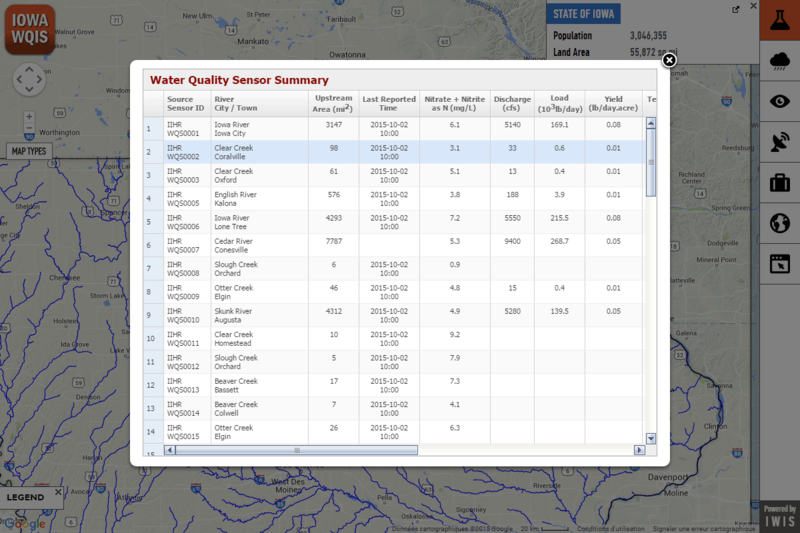 Tabulated view of the latest measurements of quality related parameters such as water temperature, pH, dissolved oxygen and more at every sites. 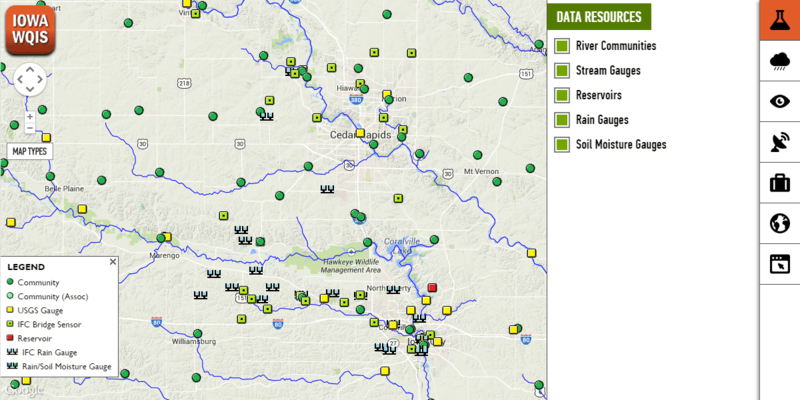 Real-time rainfall maps displaying current conditions, and past rainfall accumulation. 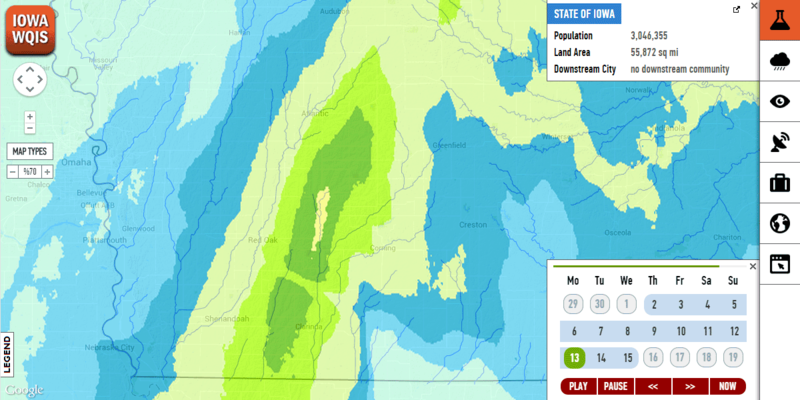 Rainfall products are supported by National Science Foundation (NSF) under grants 0427422 (ATM) and 0839576 (GEO). 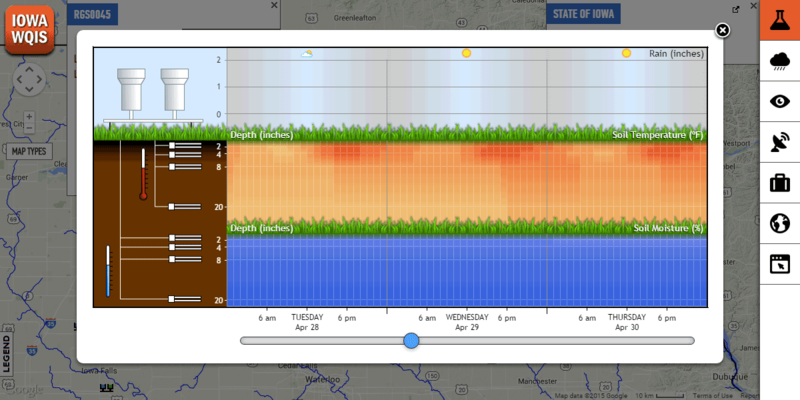 Compare daily rainfall accumulation with frequency in real-time (utilizing WebGL). 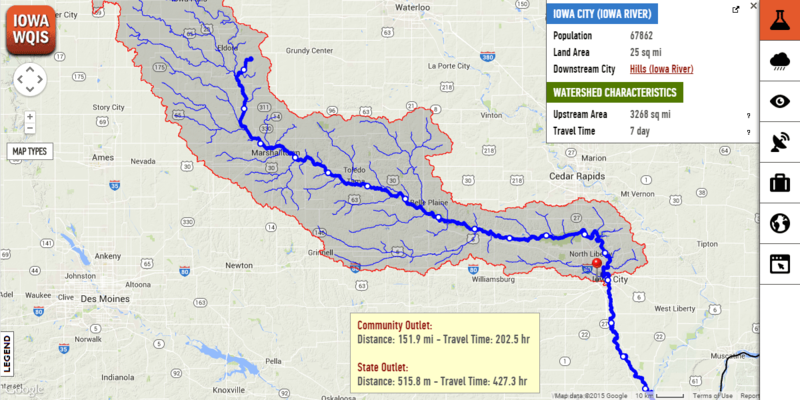 Community-based nutrient conditions, data resources, and upstream watershed characteristics. 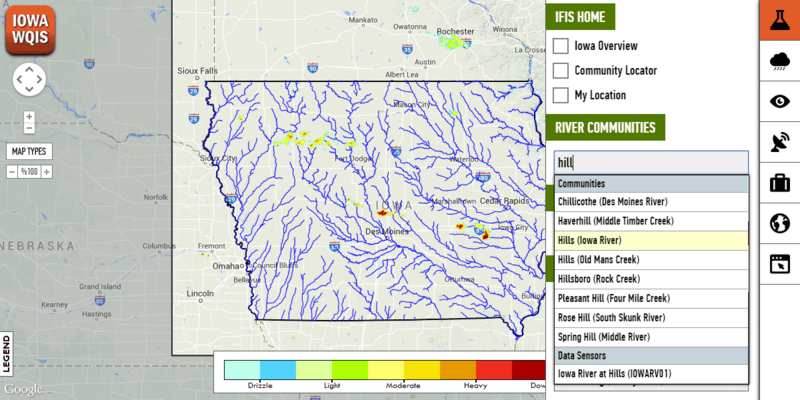 Hourly snow melt for Iowa for the last 11 days. 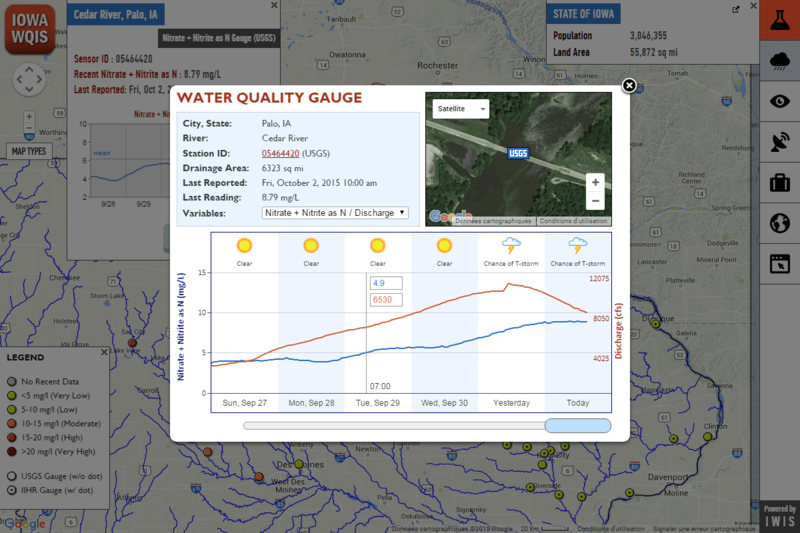 Visualizations of water levels and stream gauge readings with 3D/2D interactive animations. Data from IFC's bridge sensors, rain gauges, and data sources with real-time and historical information. 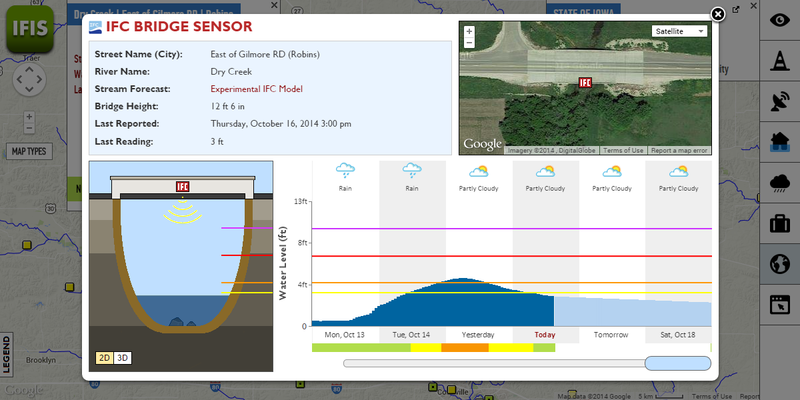 Data from rain and soil moisture gauges are visualized in a custom interface. 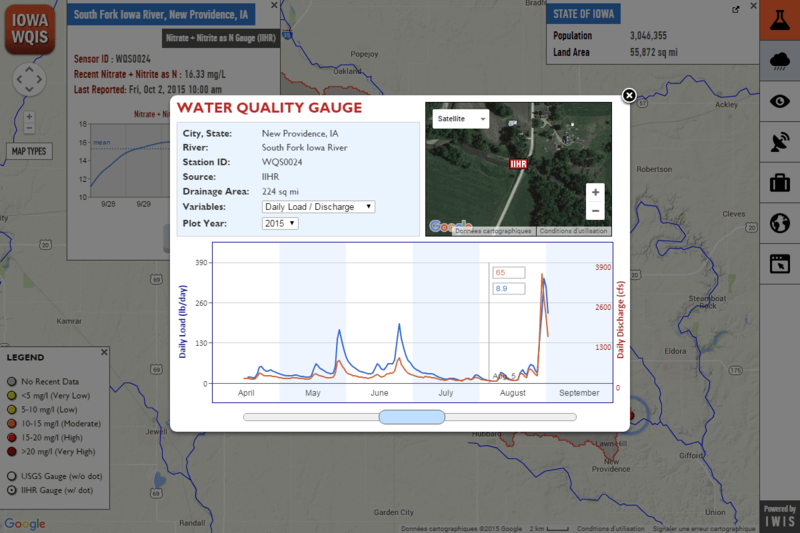 Visualization of data from multiple IFC bridge sensors and USGS gauges in a single view along a river. 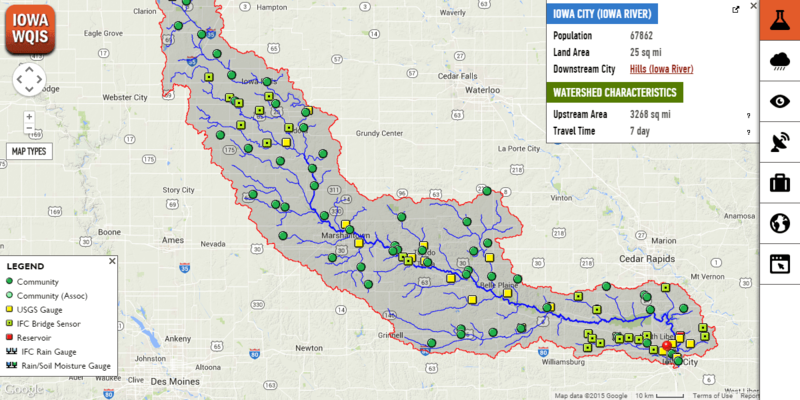 See how rainfall moves in the river network. 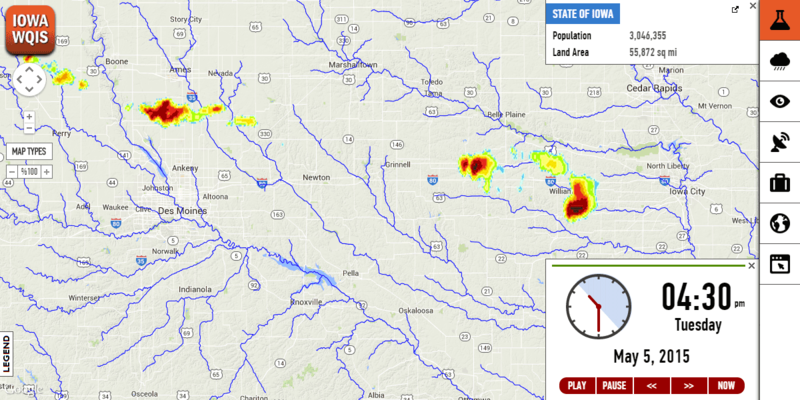 Click anywhere on the map and see rain draining in the river network. 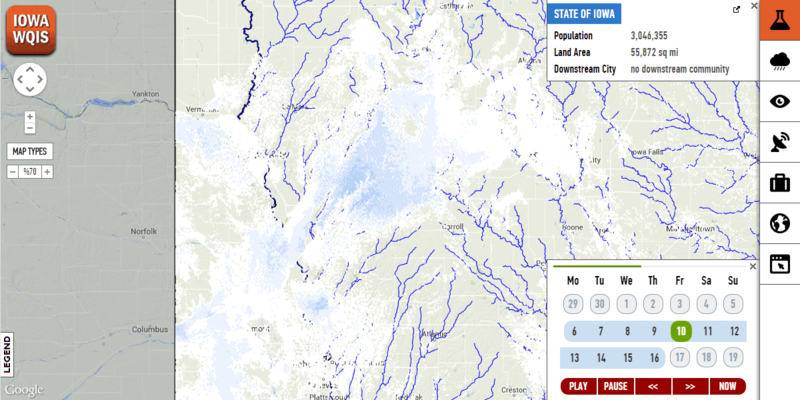 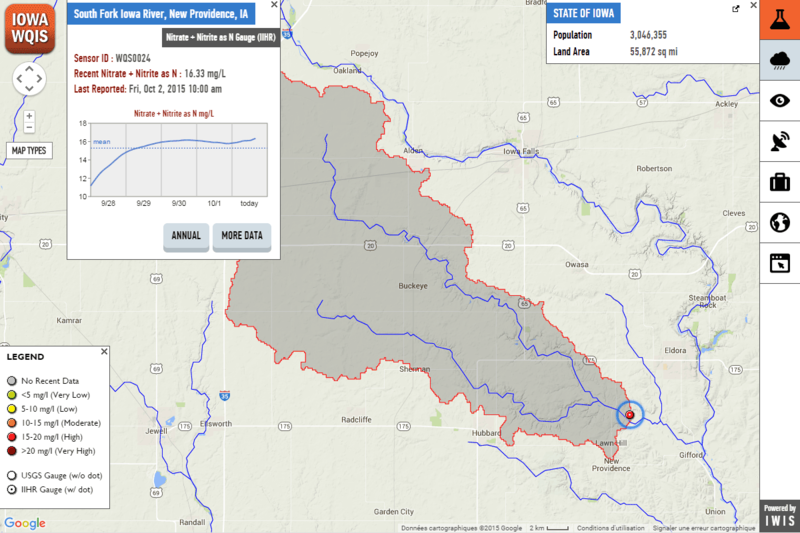 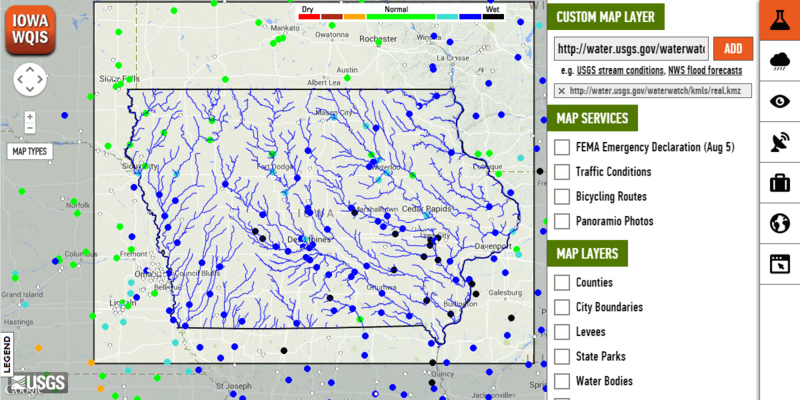 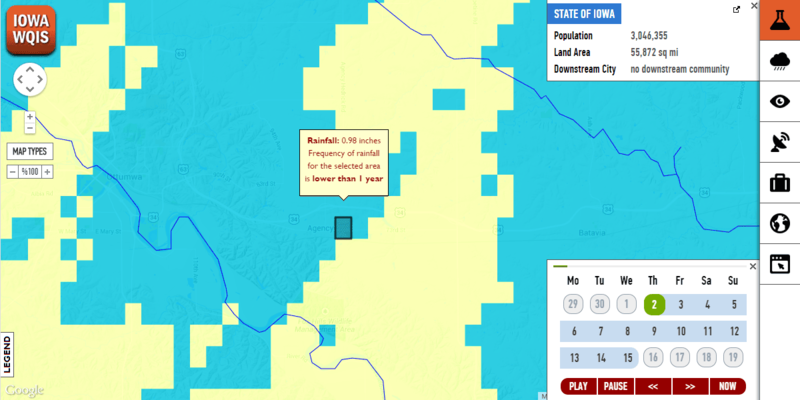 Click anywhere on the map and generate watershed instantly in Iowa. 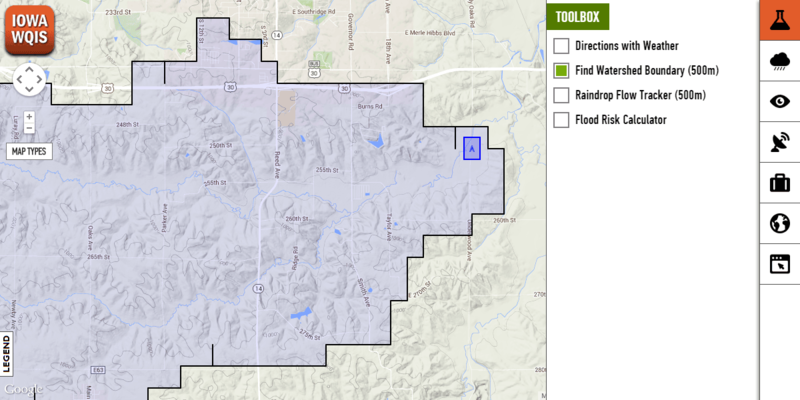 Add any map layer on IWQIS using KML, KMZ or GeoRSS formats. 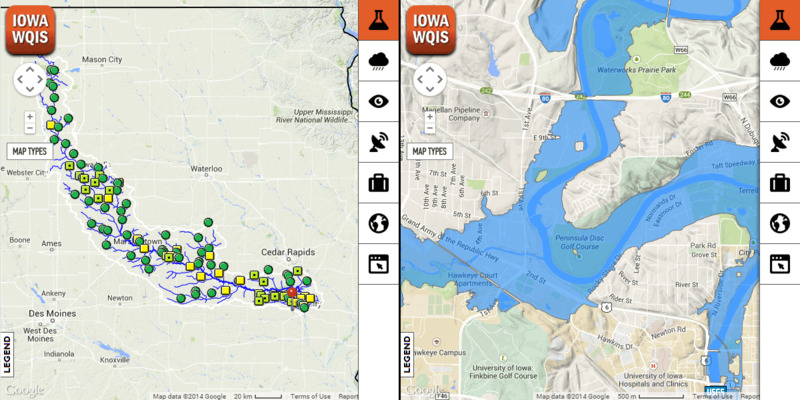 Split map view for IWQIS to compare features and data resources for two location on the map.